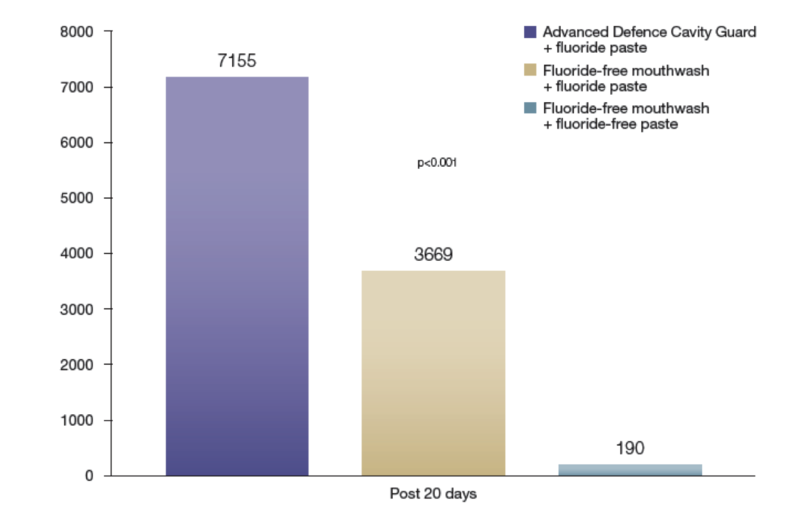 Adapted from an in vitro study: fluoride content 20 days, DOF 3 – 2013.2 18 sound human incisors were evaluated per arm. 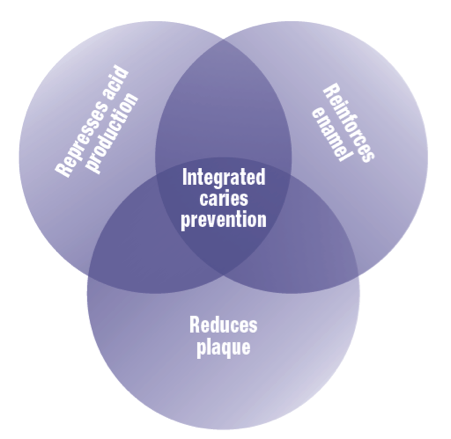 Plaque bacteria are an important risk factor for caries and in an in vitro study of a plaque biofilm model, Advanced Defence Cavity Guard reduced plaque bacteria levels by 99%4. Surface microhardness, DOF 4 – 2013. 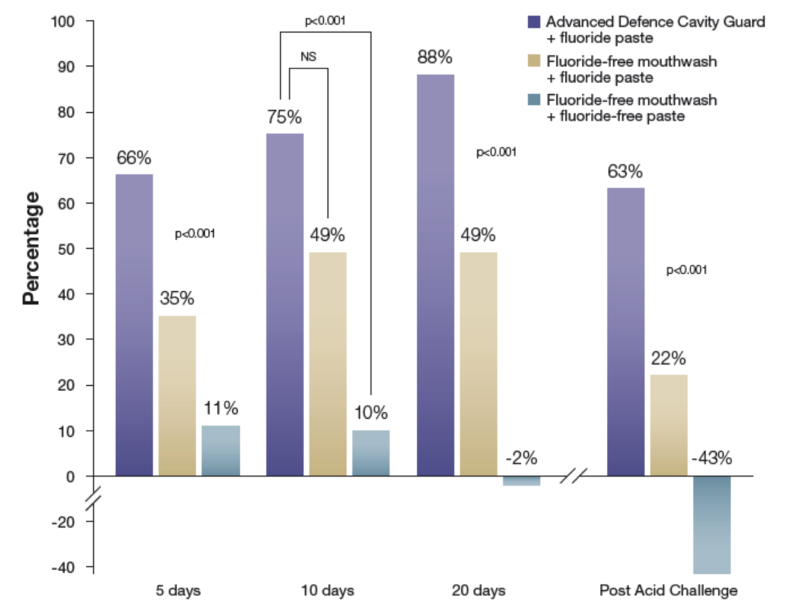 SMH plaque acid challenge, DOF 5 – 2013.